NBA champion Cleveland Cavaliers visit the White House. Despite already being seven games into the 2016-17 season, the Cleveland Cavaliers are still celebrating last season's title. LeBron James and the Cavaliers make the annual championship trip to the White House to visit the president. 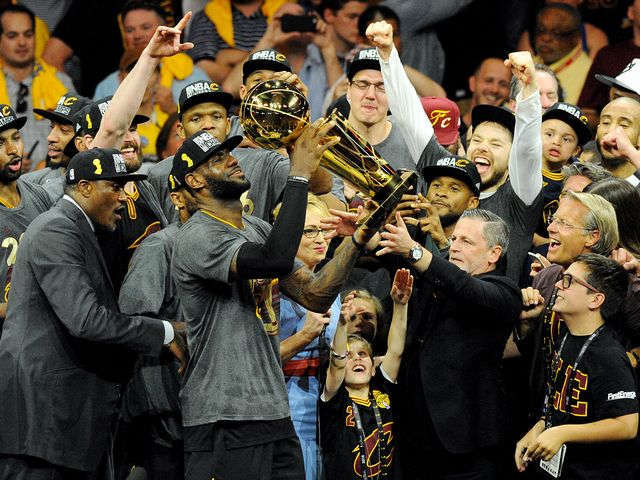 Cleveland won the title and made NBA history against the Golden State Warriors after coming back from a 3-1 deficit in the NBA Finals in June. The Cavaliers are 6-1 early in the 2016-17 season and were the NBA's last unbeaten team before falling Tuesday night to the Atlanta Hawks.